Choosing THE ring is no light matter, whether you choose it together or whether you drop him hints but like to be surprised. It should be the perfect shape, color, cut, and style – for you. No matter what the advertisements out there are showing you how the perfect ring should look, it really has to feel right for your personality and your lifestyle. You’ll also feel a lot better about wearing it if it’s an eco-friendly piece. 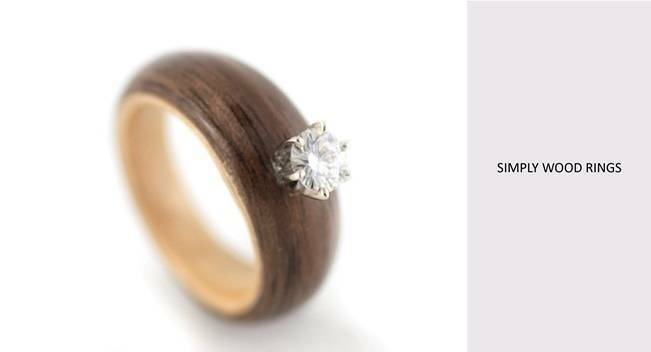 What makes a ring eco-friendly? 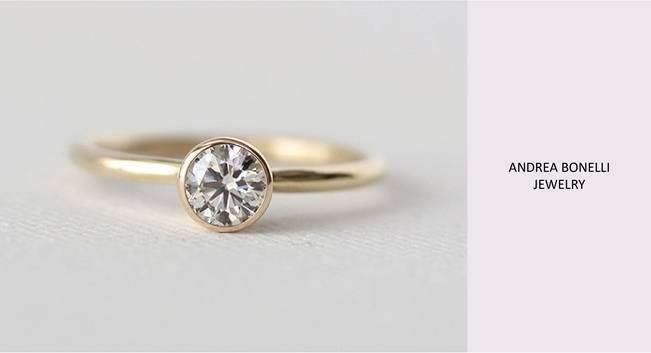 Search for designers and artists who use ethically sourced materials, conflict free diamonds, diamond alternatives, recycled metals, or repurpose a vintage ring. 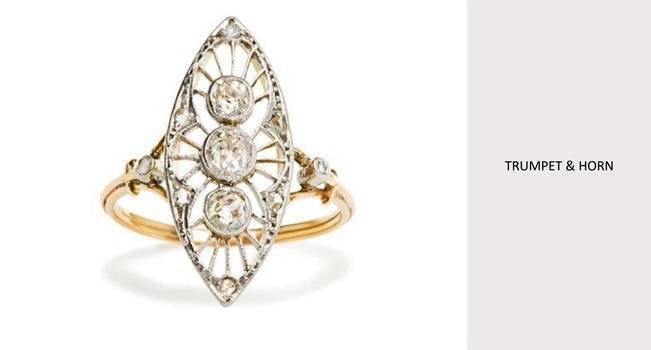 Here are 10 eco-friendly rings that we absolutely love and think you will too! 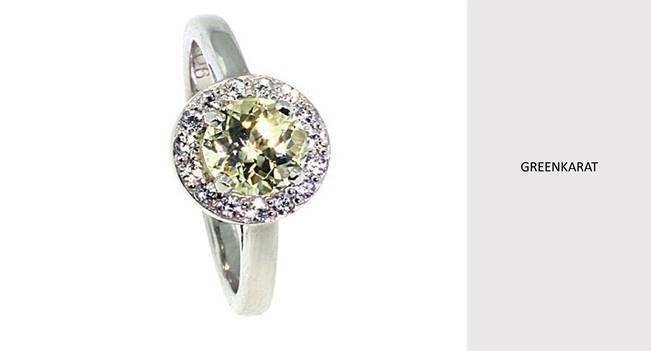 2) Brilliant Earth makes this 18K White Gold Luxe Willow Diamond Ring (1/3 ct. tw.) It features delicate vines adorned with sparkling round conflict free diamonds and four marquise diamond buds that reach for the center gem. 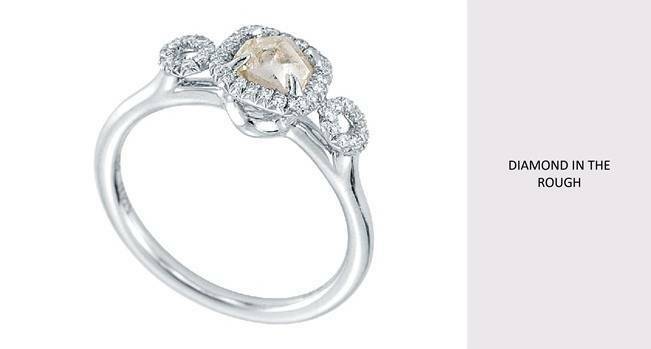 The perfect combination of natural elegance and breathtaking sparkle. 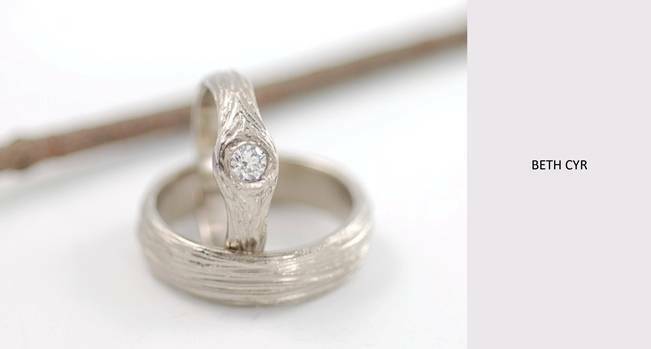 This engagement ring will delight nature lovers everywhere. Starts at $1,450. 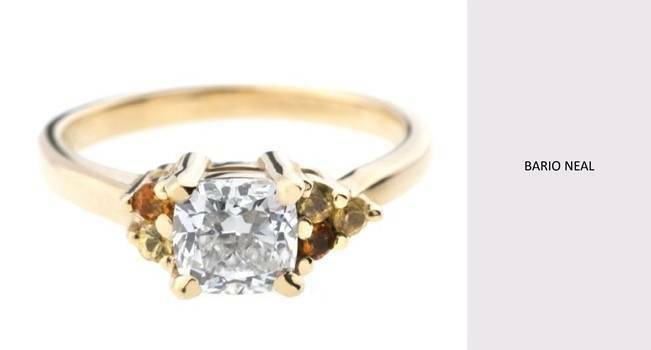 3) The Huntsdale ring from Trumpet & Horn is a stunning example of an early Edwardian era engagement ring. This vintage ring is made from platinum topped with 18k yellow gold and centers three vertically set Old Mine Cut diamonds gauged at approximately 0.63cts total in weight, with I-J color and SI clarity. An additional eight Rose Cut diamonds set along the edges add further sparkle with a total estimated weight of 0.05ct and graded a light gray in color. This navette ring epitomizes the use of open filigree work and can be considered a true work of art. Size 8 1/2. $3,750. 7) Say You Love Me Diamond Ring by Bashford Jewelry. 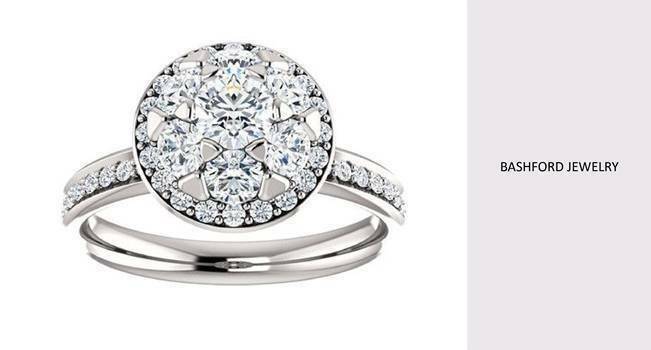 This Stunning ring features a beautiful floral inspired look with .30 Carat Diamond center stone and 42 side diamonds, can be set in 14K White Gold or Platinum. Ethically sourced, conflict free. From $2,532.06. 9) The Precious Engagement Ring is for a love that exists beyond words. 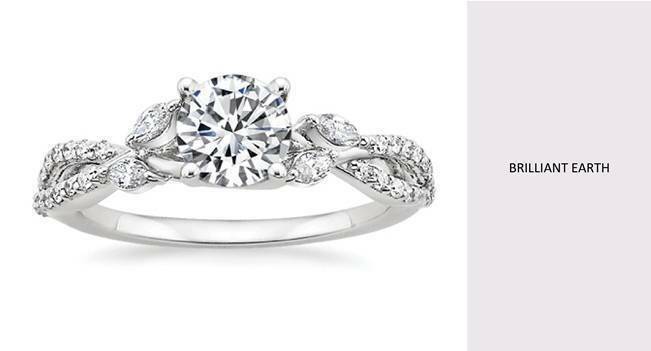 “Precious rings are a timeless treasure symbolizing a cherished bond.” Starting at $3,800. Diamond in the Rough is the only jewelry company that uses natural rough diamonds of this caliber. They only source conflict-free diamonds that are certified by the Kimberley Process. Ethical sourcing is the highest priority for them. 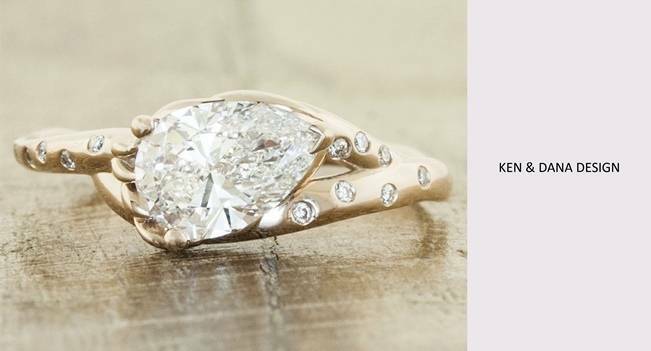 10) The Asymmetrical Avens Ring with Cushion Cut Diamond by Bario Neal. This version of the Asymmetrical Avens Ring features a prong-set .50ct-1.0ct cushion cut diamond with yellow sapphires and citrines set asymmetrically on either side. Available in a variety of metals with a matte or high-polish finish. From $3,033. Bario-Neal Jewelry is handcrafted in Philadelphia with reclaimed precious metals, ethically sourced stones, and low-impact, environmentally conscious practices. All images courtesy of above designers or retailers.